Qamea Resort and Spa, Fiji 5.0 out of 5 based on ratings. 6 user reviews. Qamea Island Resort Fiji- The jewel of Fiji's northern islands, Qamea Resort Fiji is 100 acres of breathtakingly beautiful island scenery with lush gardens, dramatic tropical rainforest-clad hills, and perfect white sand beaches. The Qamea Resort grounds are filled with colorful gardens with hiking paths that reveal wonderful nooks and crannies and spectacular views everywhere you look. 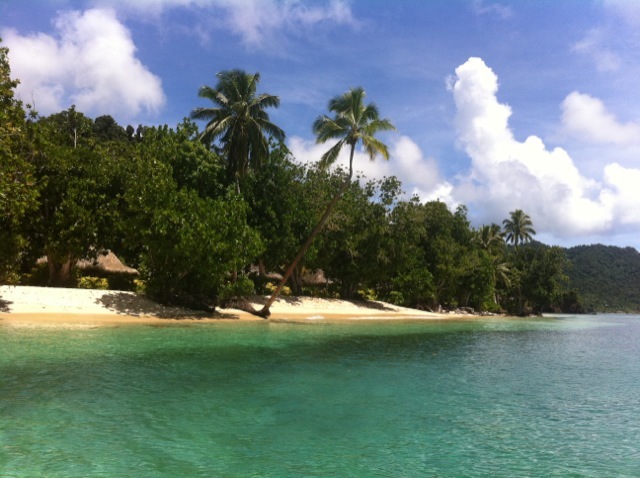 Welcome to Qamea Fiji - it is truly the hidden paradise of Fiji. Only 17 lucky couples can enjoy this paradise at once, making it one of the most private and exclusive hideaways in all of Fiji, and the world. Unforgettable Honeymoons highly recommends this amazing Fiji hideaway to couples who want a mix of luxury, privacy, adventure & romance. Qamea weddings are also one of Unforgettable Honeymoons specialties, ask about getting married at this luxury Fiji hideaway. Qamea Resort Fiji- spent one of the best nights of my life here on my honeymoon!